Being in alignment with your purpose is vital to the success of your business! It’s the driving force, the rocket fuel, the passionate mission that will not only propel your business forward, it’s essential for others to buy into your business and join the movement that is born from within it. Your purpose can be found within your past. It’s your ‘passionate why’, your reason for doing what you’re doing! The first step to discovering your ‘why’ is to collect the stories of the past that have made the biggest impact in your life. It’s actually the so-called small moments or small stories that have the hidden gold that you’re looking for. So dig up the moments from your life that made the biggest impact and look at specifically why it made such a huge impact. My purpose is to show people that success is possible for everyone so that they can live on passionate purpose and earn the amazing income they desire! This purpose has been born from the early moments of my life when I was indoctrinated that you could either do something you love in life and earn no money, or earn money in a job you hate! That adversely affected my life and sent me into a destructive pattern of choosing one or the other in short succession UNTIL I saw other people proving these limiting beliefs to be wrong; others were living their purpose AND making money! So I made a decision to do just that for myself and I’m proud to say I now run a business that lights me up and brings me money beyond imagination. It has become my mission to show people step by step how you can create the business of your dreams, both in alignment with what sets you on fire, makes an epic impact AND gives you your desired income! What are your stories that define the transformation you want to see in the world? Another question you might want to ask yourself to tap into your innate mission is to ask ‘what did I want to be when I grew up?’ and then ask yourself WHY you wanted to become those people… it’s in the ‘why’ that lies your innate to desire to impact the world in a certain way. It’s important to give your purpose movement. Discovering your purpose is one thing, bringing to life is another! If you really want to live on purpose and run a business in alignment from it, then you need to give your purpose a vehicle. Think about how you can create the transformation you want to see in the world. The trick is in the beginning not to focus on EVERYONE! Because in business, everyone is no one! Get specific! What would allow that purpose to come alive for a select few people? If we become too general we can’t truly help people and change lives, in order to really make a big impact we have to get really specific. Let me use myself as an example. Let’s take my purpose… ‘to show people that success is possible for everyone so that they can live on passionate purpose and earn the amazing income they desire.’ I have chosen to help online entrepreneurs (coaches/mentors) position themselves as the expert in their field through helping them find clarity on their niche, ideal client and purpose to build super strong business foundations that attract and convert their perfect prospects. Why did I choose these people specifically? Because working online allows us to choose who we want to work with, we’re not confined to our locality so this means we can do what lights us up, rather than being at the mercy of our surrounding environment AND we can tap into a HUGE population meaning the income potential is also huge! I’m seen as the expert in my field because I’ve gotten specific and so conversions are much easier… BUT more importantly, my specific outcome is in total alignment with my purpose and why, meaning I’m beyond fulfilled! My soul is on fire every day because I’m working in alignment! Once you’ve discovered your purpose and gotten specific, it’s now time to create your movement. The best way to create your movement is to create a community whereby those that resonate with your message and mission can join so that they can find their place with other ‘like minded’ individuals all working towards that same goal. These people will become the reason you leap out of bed every morning so that you can serve them and help drive the mission forward with them by your side and each other’s sides! For me, I have attracted and created my community/tribe inside my epic Facebook Group, Awaken the Boss! In this group, I deliver incredible trainings, inspirational talks, and insights to help my community live the shared purpose and mission. I lead these incredible people with passion because we are all aligned to our destiny and the rewards of fulfillment are sent back tenfold. I want to shout out 3 other awesome examples of Leaders leading their purpose with fierce passion in their incredible communities! I have been a part of all these communities and these Leaders inspire me every day. Leading your purpose will bring your purpose to life so you can start making an epic impact and work in a business that is truly aligned! 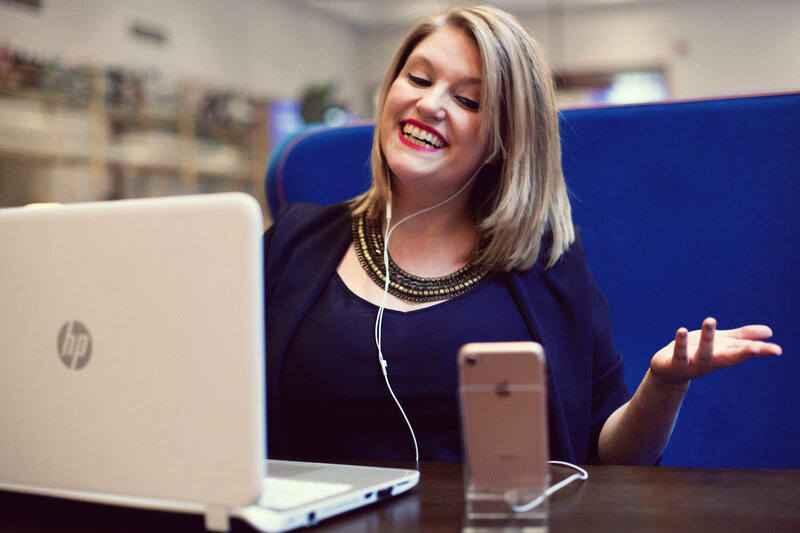 Jen is a best selling author of Expert Unrivalled and specialises in taking service based businesses from overlooked, undervalued and underpaid to becoming the most desired option for their high paying ideal clients. She is on a fierce mission to remove the wall between you & the wildly successful because she believes we ALL have the ability to reach those heights!